Custom car grills have taken on varying designs over the years. It is a feature that was first spotted on an automobile in the year 1903. A few years later, the arc-shaped design started to become popular and was adopted as the standard design for cars manufactured in the following years. Arch-Shaped design used on the MG-TC, Rolls-Royce, and Packard Models. Their manufacturers opted to stick with this old design. However, grilles went on to take a completely new shape at the end of World War II. This is a change that came about in the year 1947. It occurred after Kaiser, Studebaker, and Buick manufacturers made their grilles shorter and wider. This was done to accommodate the changes that they had made in the vehicle designs. The front look of a car is an important aspect in attracting would be buyers. The grille plays a principal function of admitting cooling air into the motor vehicle’s radiator. As the leading visual component on the front part of a vehicle, a custom grill helps to make the car more attractive. It also shapes its identity by being able to tie it to a particular vehicle manufacturer, its history, and public reputation. Presently, big car grills are only used for cosmetic purposes. Such grilles are normally used as distinctive styling elements. It helps explain why many marques today choose to use the grill as their leading brand identifiers. Manufacturers have over the years used chrome-plated plastic material to make grilles. However, recent developments have seen the introduction of aluminium and stainless steel materials. Most experts such as ZunSport have adopted the use of stainless steel because it is bend-resistant and harder than aluminium. Just like other spare parts, the price of custom grilles has always varied according to the vehicle model. For instance, a Bentley grille might cost more than that of a Mazda. This trend has continued over the years. However, the price of customized grilles continues to fall, thanks to the emergence of many manufacturers. Why Consider Zunsport for Your Custom Car Grills? Zunsport makes grilles for different vehicle models and is always looking to expand its range of products. Currently, Zunsport makes grilles that are primarily made from stainless steel, but have also been experimenting with high-quality ABS plastic. 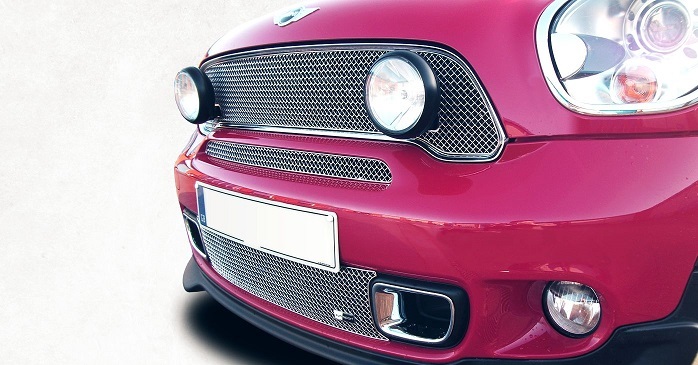 Contact Zunsport today for all your custom car grille needs.